When I hit my 20's is when I realized that I needed to start taking care of my skin. I haven't had a problem with acne before because of my genetics (bless you mom + dad) but I do struggle with dry and dull skin. I've tried many cleansers, moisturizers, face washes, lotions, you name it but nothing ever worked. It was starting to get extremely frustrating until I hit the jackpot! 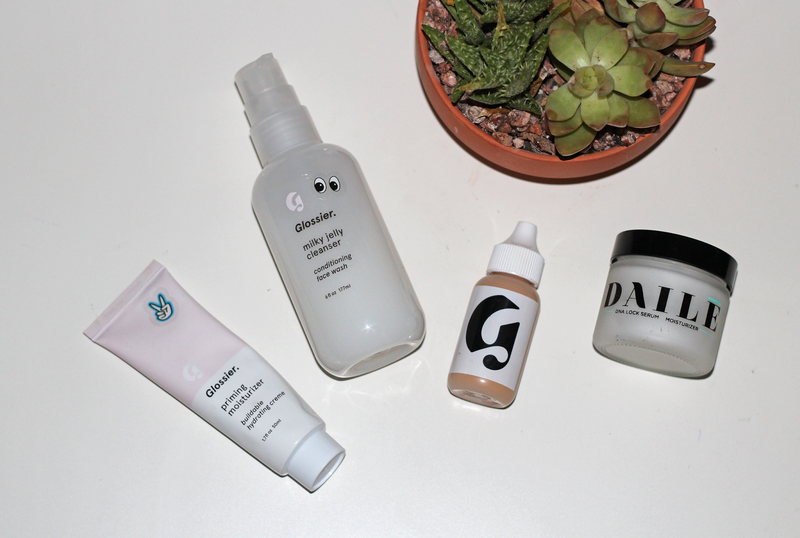 1) First I wash my face with luke warm water and then I use two to three pumps of the Milky Jelly Cleanser from Glossier. <<BUY HERE>> I mix the cleanser all over my face, doing upward and outward motions. After the cleanser is all over my face, I then wash my face again with luke warm water. 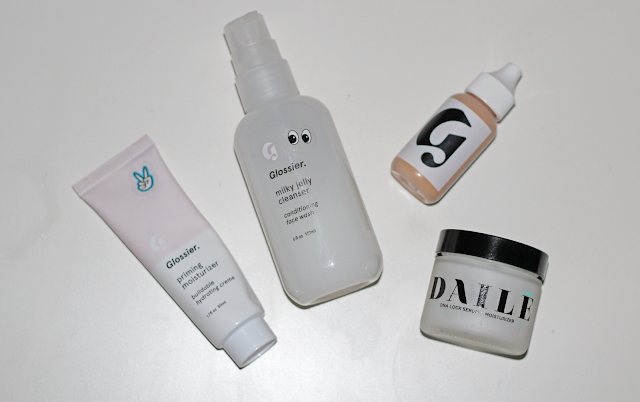 2) I pat my face dry with a towel and add the Priming Moisturizer from Glossier <<BUY HERE>> all over my face. It's the perfect moisturizer for any skin type. 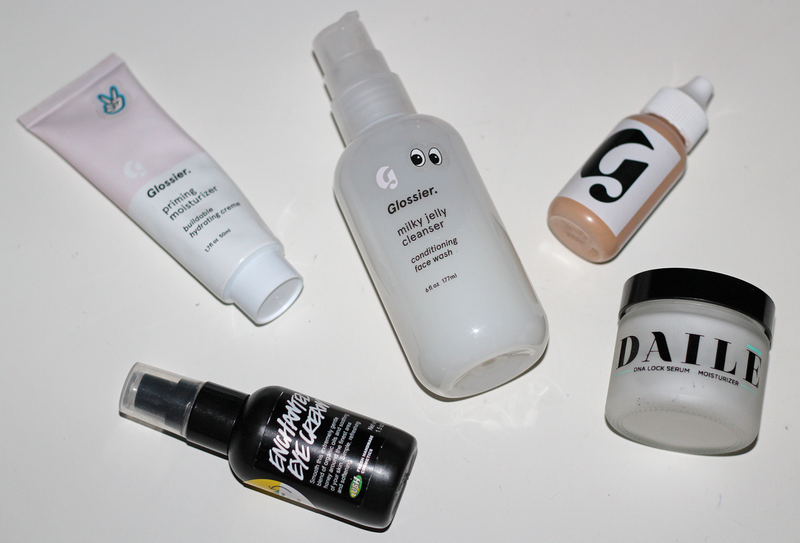 3) Third step is applying the Skin Tint from Glossier <<BUY HERE>> upward and outward all over my face. I love using the skin tint instead of foundation because it gives you a natural look, it doesn't cover up all the freckles and beauty marks on your skin but it does give your skin a smooth, even look. 4) It's the end of the day and the makeup needs to come off. I apply about three pumps of the Milky Jelly Cleanser (purchase from the link above) all over my dry face. Not only is this cleanser the perfect *WAKEMEUP product but it also is able to remove all of your makeup. Once I am done applying the cleanser, I then wash my face with luke warm water. 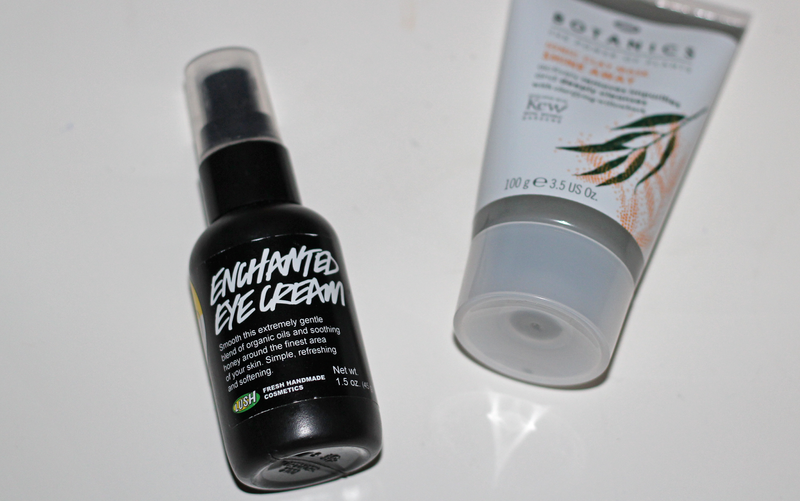 5) About twice a week, I love giving my face the royal treatment... MASK TIME. 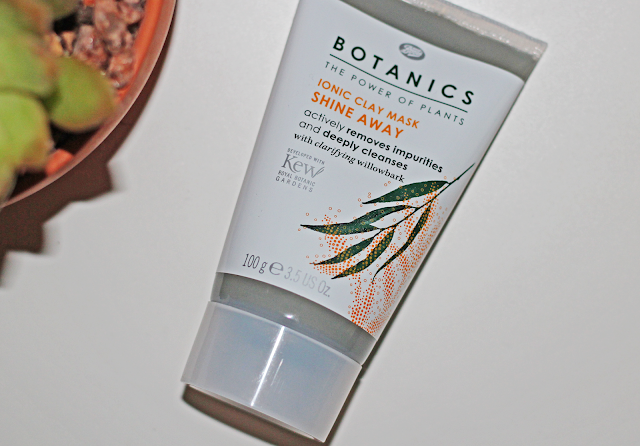 I use the Ionic Clay Mask with Willowbark from Boots Botanics <<BUY HERE>>. 6) I pat my face dry with a towel and my next step is applying my DNA Lock Serum + Moisturizer aka Daile <<BUY HERE>> all over my face. I scoop about the size of a quarter and just moisturize the product all over my face and neck. Daile keeps my skin radiant and wrinkle free (thank goodness!). 7) Last but not least, to prevent any wrinkles + wanting to get rid of the bags under my eyes, I apply about three tiny dots of my Enchanted Eye Cream from Lush <<BUY HERE>> with my fore finger. I carefully rub all of the cream under my eyes and to the corners of my eyes because your eyes are like a delicate flower.